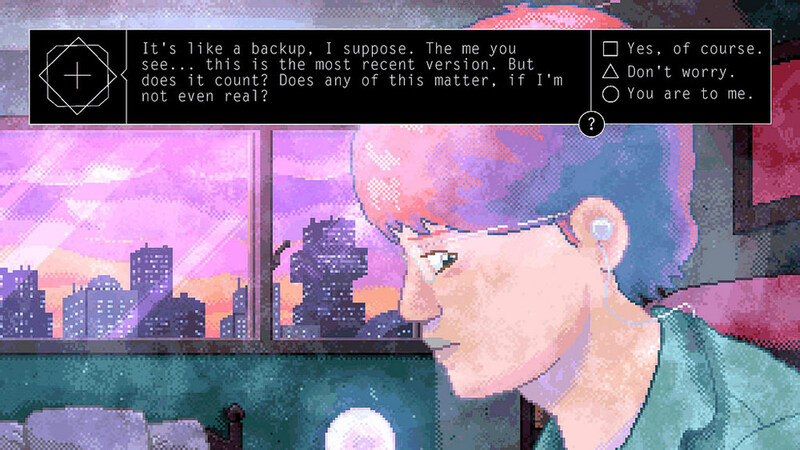 Although initially announced to come out in the Spring, Benjamin Rivers romance adventure game, Alone With You, will be coming out August 23rd on PlayStation 4 and PlayStation Vita. There are more than 12 missions in the game where you explore, use your scanner, engage in conversation, dig up old artifacts, ride rickety elevators, figure out pass codes, fix drones, and piece together dozens of intertwining narratives, among many other things. Gameplay is fluid and fast as you unlock the mysteries of the doomed space colony you’re so desperately trying to escape. Because the game is narrative-focused and has a day-by-day mission structure, you can play it all in one go — which will take several hours — or at your own pace. Need to return to the game in the middle of a mission? Your diligent AI pal will remind you what you need to do. You can check out the full details over at the PlayStation Blog, and also follow Benjamin Rivers on Twitter, where he announced the game will be Cross Buy. In the meantime, consider picking up Home, which was released last year on iOS, and PlayStation.